Dr Cynthia Turner provides a warmly welcoming environment for children, young people and their families to seek support for a range of psychological and behavioural issues. Her special focus is on anxiety disorders, obsessive-compulsive disorder, and associated neurodevelopmental disorders including tic disorders, Tourette’s Syndrome, trichotillomania (hair pulling) and more. Cynthia’s experience is very broad, having worked with clients from a diverse range of backgrounds and life experiences. She recognises each child and young person is very different, and seeks to tailor a personal plan and provide an evidence-based solution that will support them and others to make positive changes. 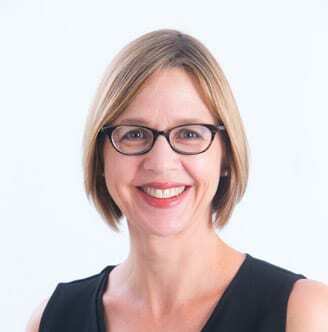 Cynthia has worked in private practice as a Clinical Psychologist in Australia since 2011, while also holding a variety of teaching and research roles at the University of Queensland and Australian Catholic University. From 2003 until 2011, Cynthia worked in London at the Maudsley Hospital, providing psychological therapy to children as part of the National and Specialist Child and Adolescent Mental Health Service, and providing psychological therapy to adults within Centre for Anxiety Disorders and Trauma. She was also actively involved in teaching and research through her role at Kings College London, University of London: Institute of Psychology, Psychiatry and Neuroscience. Cynthia completed a Bachelor of Arts (Hons) degree at the University of Queensland in 1994. This was followed by a Master of Clinical Psychology (MClinPsych) at Griffith University in 1997 and a PhD at Griffith University in 2002. She is a registered psychologist (clinical endorsement) with the Australian Health Practitioners Regulation Agency (AHPRA), and is a member of the Australian Psychological Society, The British Psychological Society and Australian Association of Cognitive and Behaviour Therapy (AACBT). Cynthia remains actively involved in teaching postgraduate psychology students, providing supervision to junior colleagues, and in research that seeks to develop interventions for the prevention and treatment of mental health problems. She is fascinated by the interplay between thoughts, feelings and behaviours and what leads to those thoughts developing in the first place. Through her daily work she applies her specialist knowledge and takes great pride in making a positive difference to the lives of others.